Three craftsmen, driven by skill and style had a dream; to design and create luxury staircases throughout the nation. 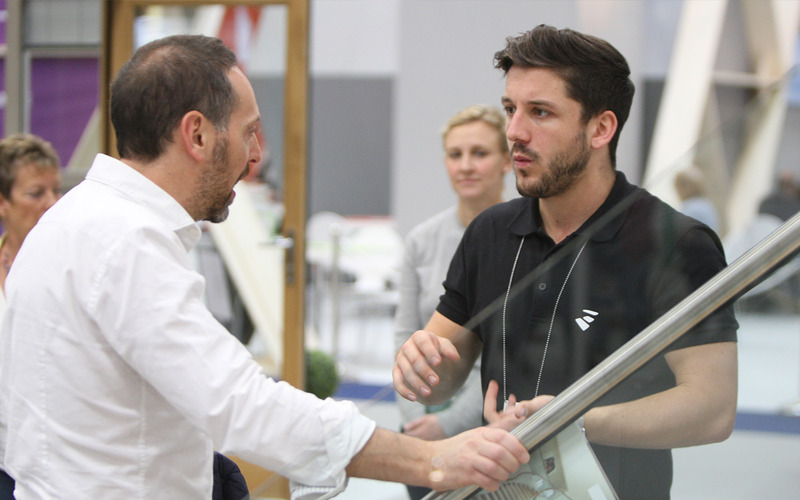 With a wealth of experience and passion, Alex, Tom and Adam founded First Step Designs. With two brothers whose father was the original staircase manufacturer of Staffordshire, it was clear that staircases would be their chosen trade. From their early teenage years, Tom and Alex were moulded in to woodwork prodigies from their fathers guidance. They were making staircases by hand, day in, day out, 7 days a week as part of the family business. 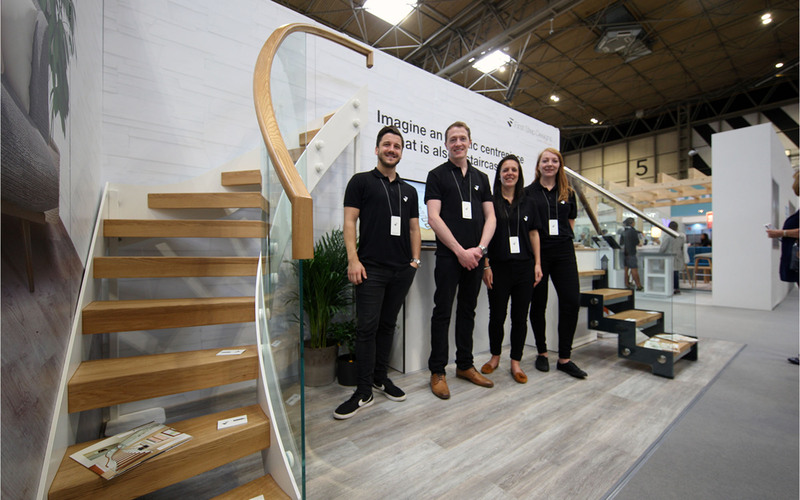 With a passion of technology behind the brothers, they encouraged their father Andrew to take staircases to the internet and start a mass production factory for bespoke staircases. Utilising the state of the art CNC’s and CAD technology the factory progressed from manufacturing 3-5 staircases a day, to 80-100 a day. This growth saw a huge expansion of the company known as StairBox. Soon came the demand for a more custom and creative staircase with a full turn-key service. So, in 2014 they founded First Step Designs along with friend Adam; forging the way in designer staircases. Adam had been one of their own trainees from years before and had been consulting for architects and builders around the UK. 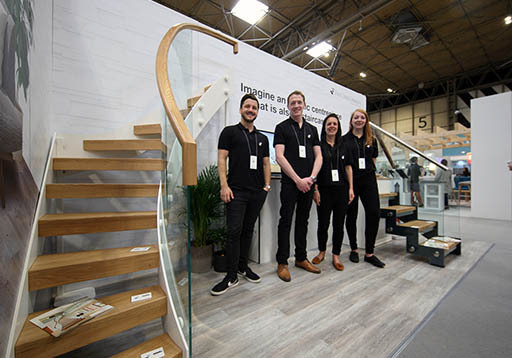 With a product range of designs that were already designed to perfection, the first range of First Step Designs luxury staircases was launched. Taking a practical approach to doing business, the trio decided to avoid the conventional sales approach and instead focus on high quality service and design. 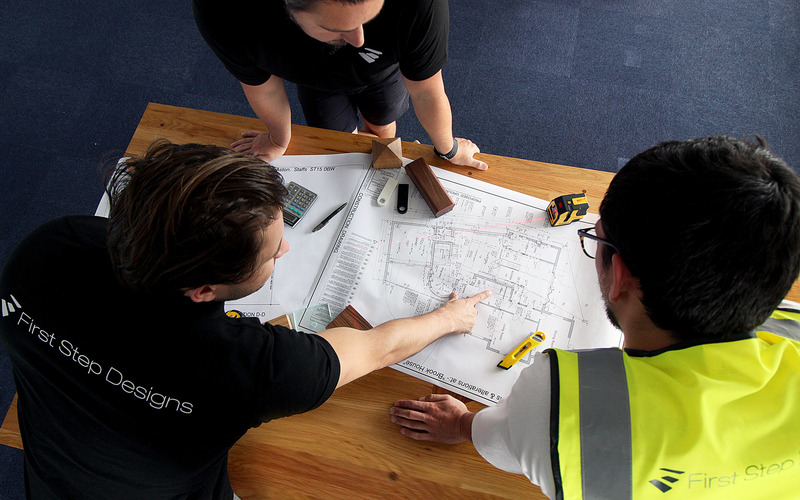 Every client receives a telephone consultation with a design specialist, along with a same day design and quotation, all without the need of a home visit. This saves on expensive middle men and unnecessary consultations which means the cost saving can be reflective in all quotations. The instant advice and guidance that customers receive as a result of this approach is priceless. 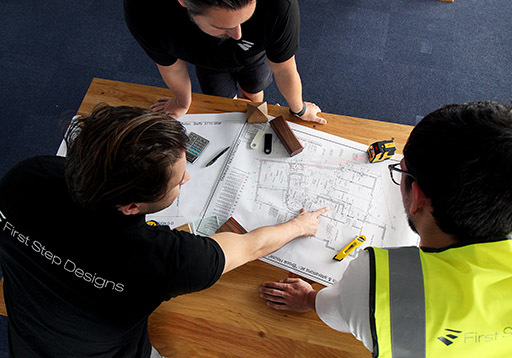 First Step Designs now employs a full team of qualified designers along with a proficient team of installers - the designers range from engineers and joiners to industrialist and creatives. 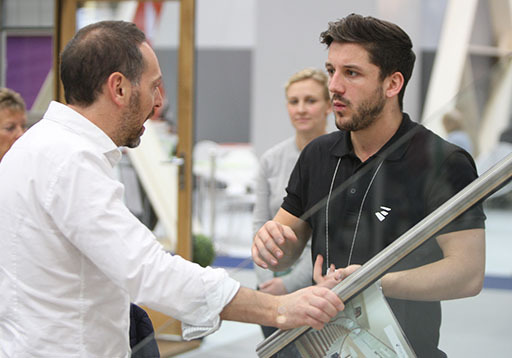 The three original partners continue to ensure a high quality service by personally training all the design staff and installation teams themselves. They also create long-term deals with architects and builders nationwide to be the go to company for a bespoke staircase service.